Quiz - A quiz night will be held in the village hall next Friday, March 29. Tickets cost £7, which includes a hot meal; take along your own drinks. The time to arrive is 7.15pm to be ready for the prompt start at 7.30pm. Tickets must be booked by March 26; call 01652 678575. Auction - The annual spring auction will be held in the village hall on Saturday, April 6, from 2pm. 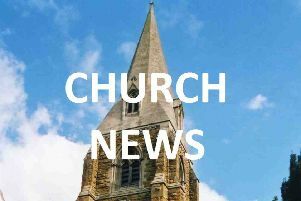 Now is the perfect time to clear out the attic, garage and shed to help support the village church. Donations of any household items - furniture, pictures, kitchenware, cycles, garden equipment, jewellery etc will be gratefully received. Items can be taken to the hall between 5.30pm and 7.30pm on Friday, April 5, or from 9am on the sale day. Alternatively, to arrange collection call 01652 678215.